Start your Christmas shopping early! The much-awaited Robinsons Group Warehouse SALE happens on November 3-5, 2017 from 11am to 8pm at The World Trade Center. 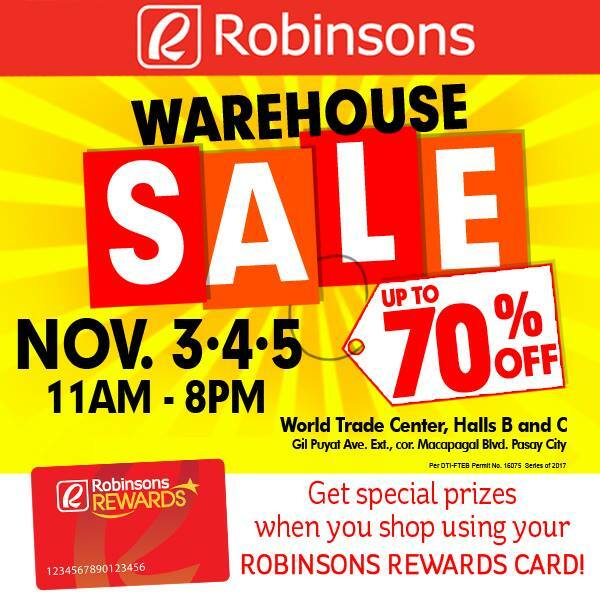 This sale is exclusive to Robinsons Rewards, and Metrobank Credit cardholders. 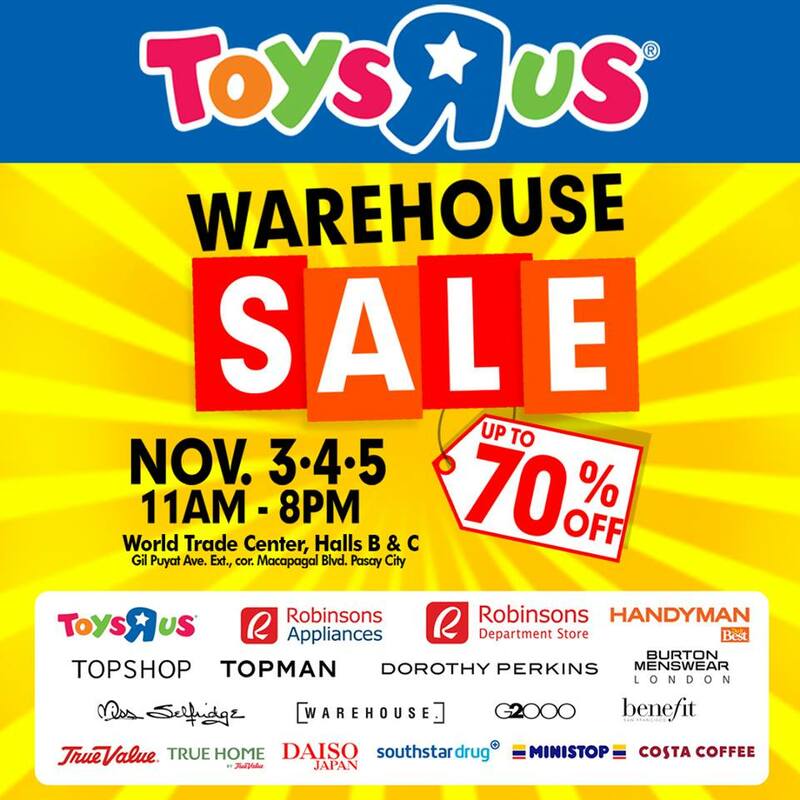 Participating store/brands: Robinsons Appliances, Robinsons Department Store, Toys R Us, True Value, Handyman, Daiso, South Star, Topshop, Topman, Miss Selfridge, Warehouse, G-2000, Benefit Cosmetics, and more! Not a Robinsons Rewards or Metrobank Credit cardholder? No worries, you can gain entrance by applying for either one during the event. Would you have vornado on sale? no entrance fee for Metrobank credit card holder but non Metrobank can fill up the Credti card application for you to enter the warehouse sale.